The winter is a great time to get to know your putting stroke and improve consistency to make more putts next summer. Try some of these ideas that I know it will make a difference. Putt in front of a mirror using an alignment stick to check posture, eye position and alignment. You eyes should be over the ball or slightly inside of the target line. Get to know your stroke. Do you putt using your wrists, your arms, your shoulders or a combination of two or three? Due to the tremendous green speeds on tour, most professionals putt using mainly their arms and shoulders. 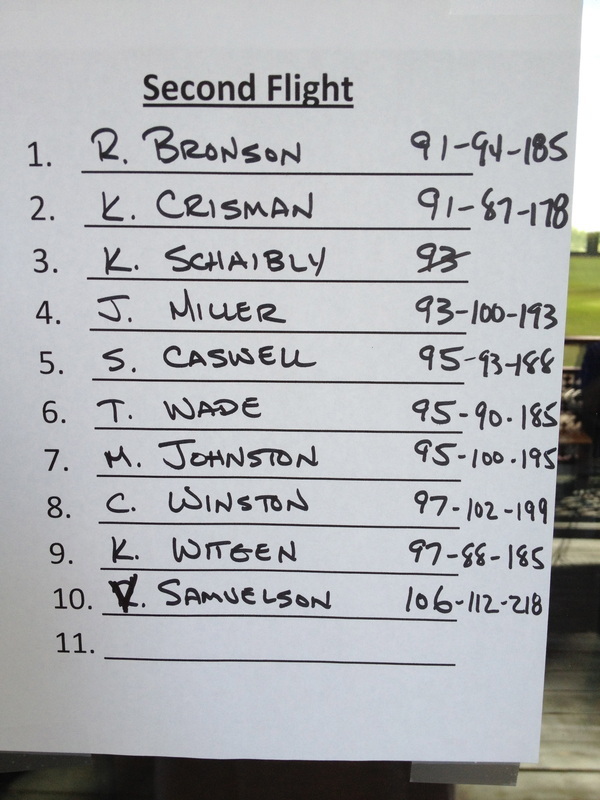 Although some, like Brandt Snedeker use their wrists. If you generally putt on slower greens you may want to use your wrists and arms a bit more. Whatever stroke gives you the best feel and touch is the one to perfect. Decide and stick with it! There are a couple of putting practice devices that can really help in the off-season. The first is a Putting Stick. You place the ball as pictured to the right and putt the ball up the stick. 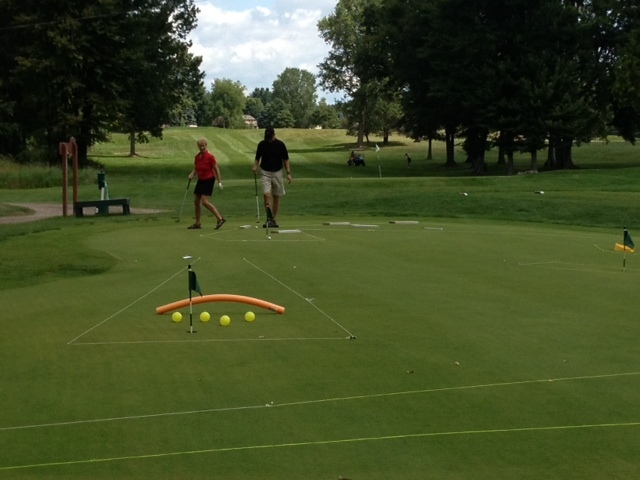 This device not only helps with alignment, but also with your path and putting the ball down the target line. If you don't have a putting stick you can use a yard stick and try to putt the ball so that is stays on the stick until it reaches the hole. The second device is a simple alignment stick or reflector stick which you can pick up at Home Depot for $2. Align the stick with the point at your target and line up your putter face at the opposite end. Putt the stick toward the target. When you strike the stick in the center of the putter face with a square face, the stick will move straight toward the hole. If you're off center or have the face open or closed at impact you won't make solid contact and the stick will go to one side or the other. Finally, download a free metronome app on your phone and find out what tempo is best for your putting stroke. We all have different rhythms and tempos in life and so will your putting stroke. Find your tempo and set it on the metronome. When you practice turn on the metronome for the first minute or so of the practice session and try to maintain that tempo throughout your practice. Spend 15 minutes 3-4 days per week and you'll be amazed at how much more consistent your putting stroke will become. According to statisticbrain.com, 42% of people who made resolutions have already dropped them and moved on. For those still hanging in there, we're rooting for you. Whether you were planning on getting in better shape, losing weight, eating better foods, drinking less bad stuff, getting more organized, reading more, and watching TV less. I'm sure life's too busy for all those cumbersome trips to the gym and complicated diet plans anyway, right? At least you tried. How about all those who didn't even bother to make one this year? What's that about. Did you know that people who explicitly make resolutions are 10 times more likely to attain their goals than people who don't explicitly make resolutions? That in itself is worth making the effort. I've certainly broken my share of resolutions through the years, but I am determined more then ever to achieve my New Year's Resolution this year and I encourage you to follow suit. Even if you have to start over February 1st. Don't wait another year to start working on achieving your goals. My resolution is to drop 25 pounds, get in better shape and have a better playing golf season. Not to mention, I have to keep up with three young grandsons who never run out of energy. My resolution actually started back in November with a new membership to SNAP Fitness in Haslett and so far I have lost 10 pounds and I'm still working out 5 days per week. Statistics can be depressing though as Statistic Brain Research Institute shows that only 9% of people felt like they were successful in achieving their resolution last year. No matter what the stats say, I'm still feeling confident I can do it and I know that can too. I would love to have you share your resolutions in the comment section so that we can cheer for each other this year. There is nothing better than having a strong support system for achieving your goals. Let me hear yours and I promise to be there for you. If you would rather send me an email, my address is listed below. 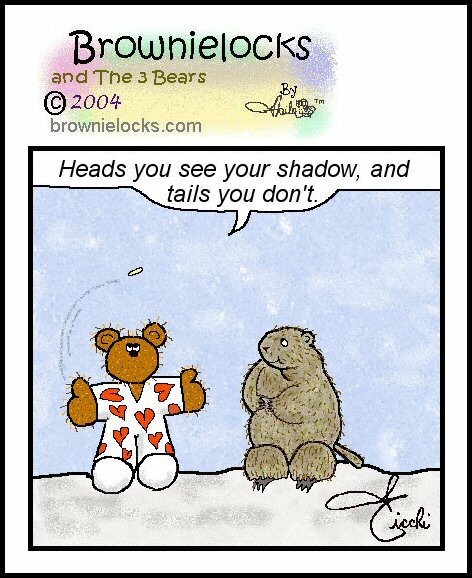 Punxsutawney Phil predicts early spring! Although Phil's predictions have only come true 39% of the time, I am a believer this year. Combine El Nino's mild weather pattern with Phil's prediction and we have the formula for an early start to the Michigan golf season. Call me the ultimate optimist, but I see weather predictions from the opposite side. When the forecast is 30% rain, I see it as 70% no rain, when they call for partly cloudy, I think it's going to be partly sunny and when they predict Mostly Sunny, well I just believe them. Let's believe Phil this year and get those clubs ready to go. See you soon at Meridian Sun! 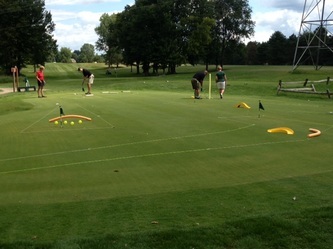 3 Reasons For Your Church or School To Start an Annual Golf Outing in 2015. It's the bitter cold of winter, but it is never too early to start planning summer events and golf is a great way to reach out to your group for a fundraising event or a fun day of fellowship. You don't need a group of great golfers to have a golf event, just enthusiastic and fun people is all there is to creating a great activity at the course. If you have never considered a golf event for your church or school, it's high time you looked into all of the fun options that are possible. Many groups think a golf event has to be expensive or time consuming, but you can choose from a variety of activities such just a group clinic on the practice range, chip and putt events on the short game area, putt-putt events on the putting green and much more. Traditional 9 or 18 hole scrambles may be considered as well as non-traditional golf games that include night light scrambles played after dark, par 3 shootouts or three club scrambles. 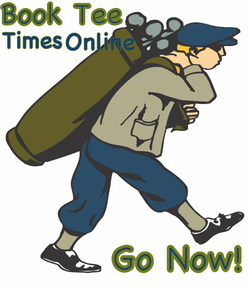 Formats can be selected based on the size and golf skill of the group or based on time and budget constraints. 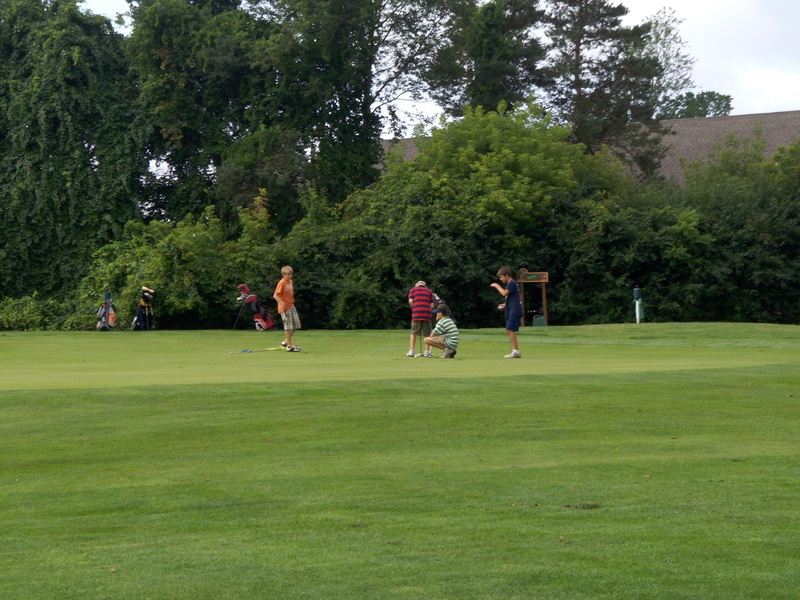 Regardless of the type of activity selected, you can be assured of a fun and rewarding day at the course. 1. 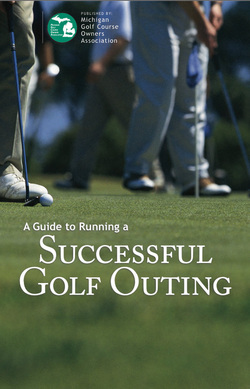 Golf courses are a beautiful and fun outdoor venue to get families and friends together outside the church or school setting to share fellowship while enjoying a variety of recreational or educational activities. 2. Golf outings make great fundraising events for that new equipment, facility repairs, team uniforms or to start a new building fund. 3. It's a great way to bring youth and adults together to recreate or raise needed funds for a youth mission trip, adult bible study courses, church charities or sports or activity scholarships. If you are interested in learning more about starting a golf event for your church group, please give us a call at 517-339-8281 or contact Bill Mory at bill@meridiansungc.com. Meridian Sun is the proud recipient of the "2013 Dul Family Development Leadership Award" presented by the Michigan Golf Course Owners Association. 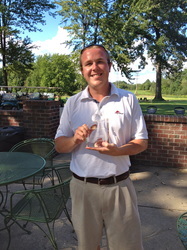 The criteria of the award was to find a course that is actively and passionately demonstrating creativity and success in growing the game of golf, with a goal of developing an on-going program that helps golfers and non-golfers overcome perceived barriers to playing golf such as: time, cost, and intimidation. 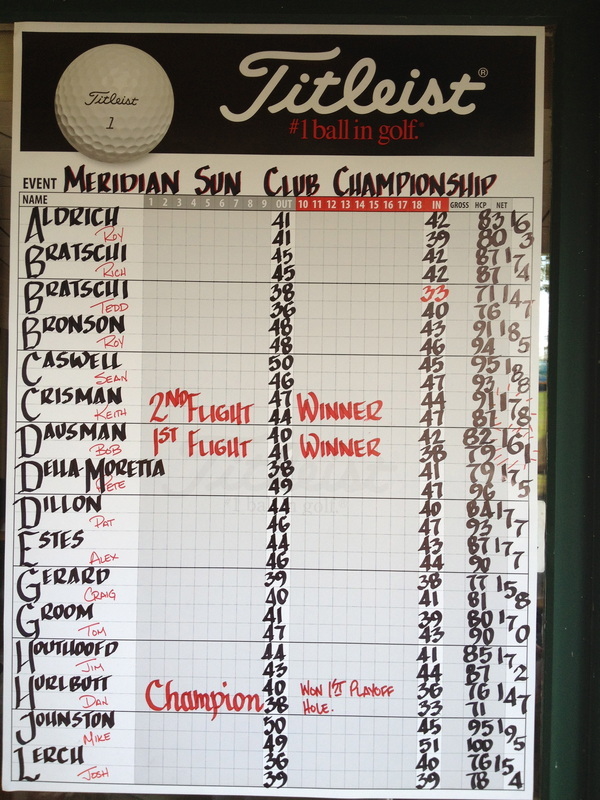 Growing the game of golf and making it an enjoyable time is what we are all about here at Meridian Sun. It's a great life sport, you can play it starting as a youth and continue on well into your senior years. On that note, we'd like to announce a great opportunity for local youth (11-17 years of age) to get started in growing their love and skill of the game. 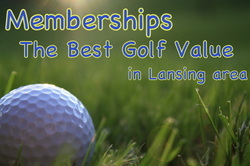 Price of Junior Golf Membership is $60. It will be on sale for $49 on Black Friday-Cyber Monday! Junior golfers, who belong to the Junior Club are eligible for our special $5 junior stand-by green fee rate seven days a week. 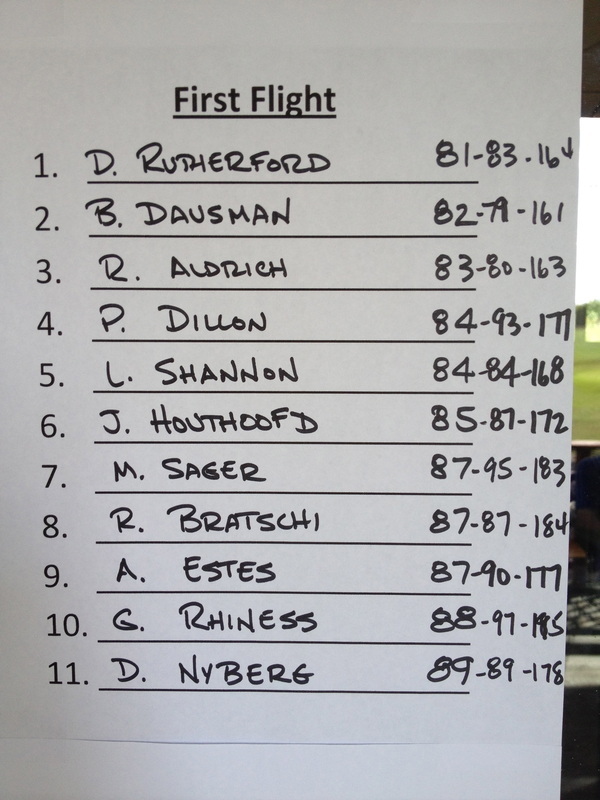 The rate is only applicable for juniors who do not make a tee time. 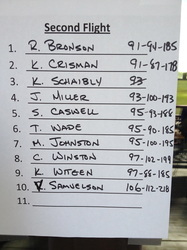 Juniors may put their name on a waiting list and will be called to the tee when an opening becomes available. This is strictly a stand-by rate and regular green fee customers have priority over juniors. This program is designed to allow kids under 18 to have an opportunity to play golf at a very affordable rate. Parents are encouraged to play with their children but must realize that during busy times they may have to wait for an open tee time under this program. Regular junior rates are available Monday-Friday before 3pm and on weekends after 3pm. Junior Rates apply to player ages 9-17. Juniors age 8 and under are free with paid adult. A junior cart fee of $5 will apply to any junior riding with an adult. Call with any questions - 517-339-8281 or email bill@meridiansungc.com. 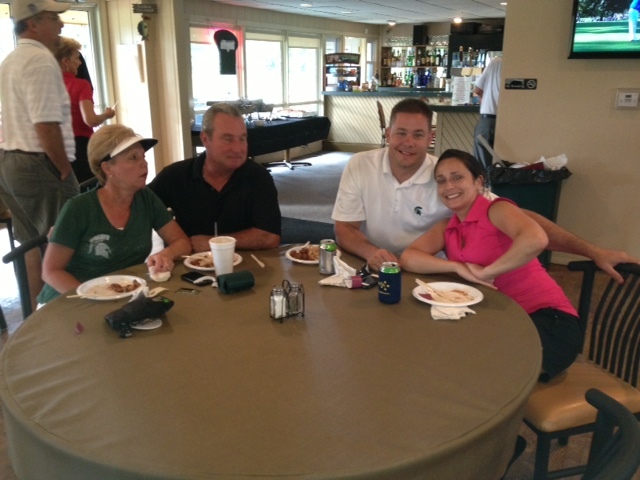 at Meridian Sun Golf Club! Be sure to plan on taking advantage of these savings while they last in our online store. *Lessons are available to begin booking in March/April of 2014 for this Package. As we head into winter, this is a helpful article and video to help you prepare during the off-season months. 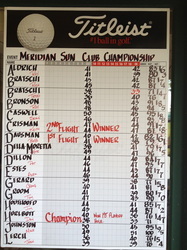 Done by Meridian Sun Golf Club's very own, Bill Mory. Enjoy! Mark Middleton in the Men's and Carol Pickering in the Women's division! 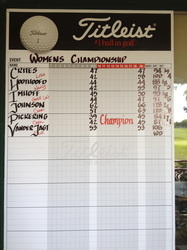 Congrats to both of you; by the way, both are repeat Club Championship winners. 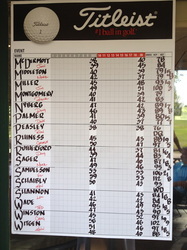 3rd Flight Winner: George Rhiness. 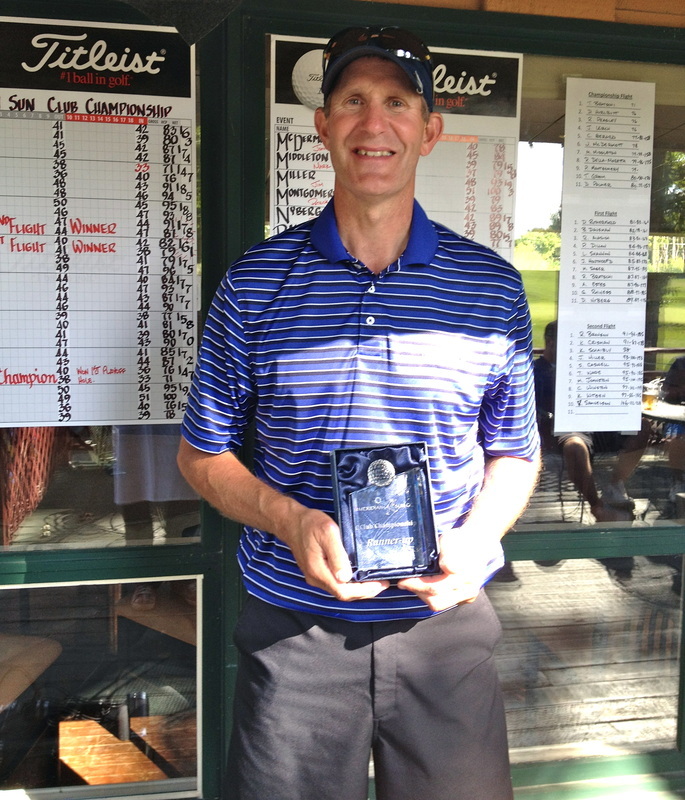 Pete Della-Moretta started the tournament off right with a hole in one on Hole #2. Congrats Pete! 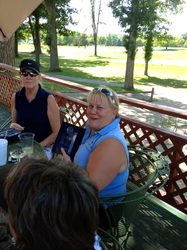 Our Women's Division winner; Carol Pickering. Thank you to all who participated and made our 1st Annual Couples' Ryder Cup Tournament such a great time. It was an eventful day, starting strong with a Putt-Putt contest, followed by a 18 hole round of varied formats (6 holes scramble, 6 holes alternate shot, 6 holes best ball), and finishing with a tasty display of hors d'oeuvres. Congratulations to Dave and Carol Pickering on winning the Team Putt-Putt Contest! 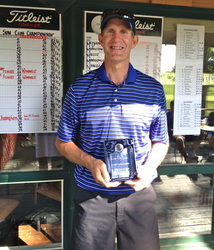 Each format had a different winning team, with the overall winners of combined scores across all formats awarded to Ted Bratschi and Silvia Davis with a low score of 69. 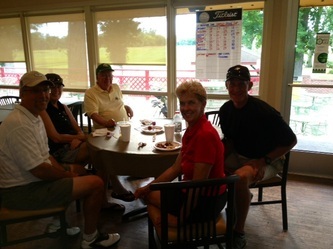 Tim and Jillayne Nelson had a strong showing, taking 1st place in the scramble category. 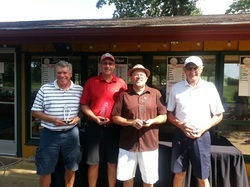 Jim and Nancy Houthoofd took 1st in the best ball, and Roy Bronson and GerreLou Imhoff took 1st in alternate shot. Congrats to all of our winners, but most importantly, thanks to everyone who participated and made this event so enjoyable. 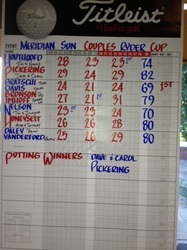 We look forward to the 2nd Annual Couples' Ryder Cup next season! Did you miss this event and wish you had played in it? 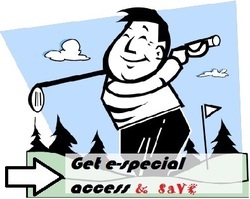 You can keep up with our events ---> here <--- or you can receive email updates of upcoming events by subscribing to our e-club; you'll get free round of golf just for signing up. 2012: Hurlbutt and Bratschi after a tight play-off. 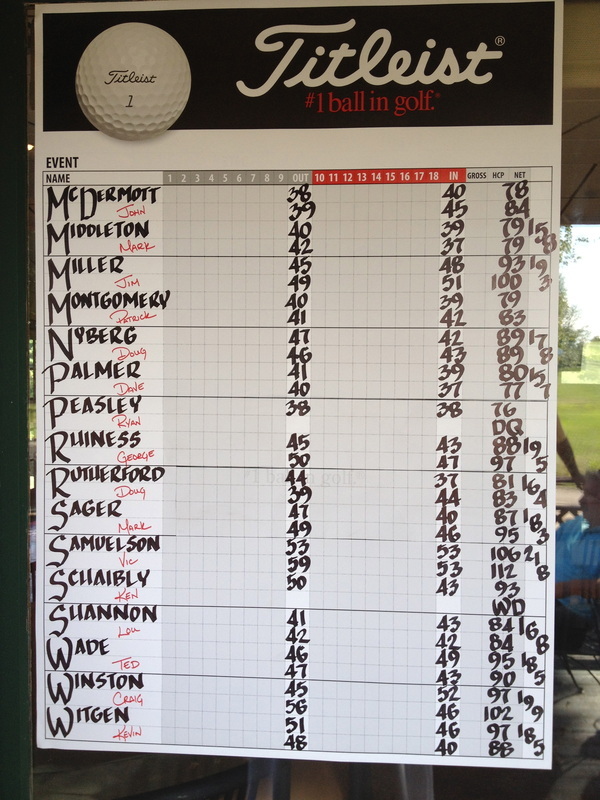 Time to mark your calendar for the 2013 Club Championship. 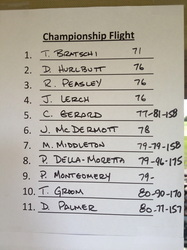 Club Championships are a great event for anyone (over 16) to participate in whether you think you are a "good" or "bad" golfer. 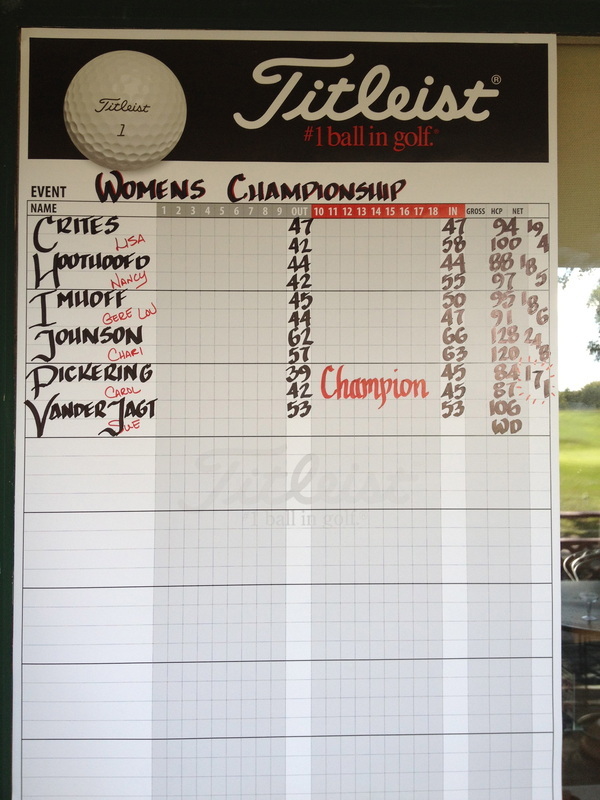 Don't let the title of the tournament discourage you from coming out to enjoy the experience. Yes, there are some good players, but there will be different fields and flights will be divided equally by total numbers of players in the field. 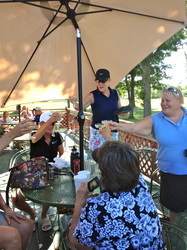 Plus, there is even a champagne toast on Sunday during the awards ceremony; always a classic moment! This event is open to men and women members, any league players and even non-members can enter. Help us to spread the word about this event simply by joining our facebook event page and sharing it on your timeline. 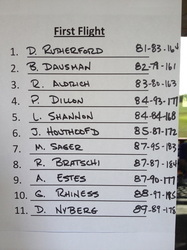 Scoring: Field will be flighted by first round score. 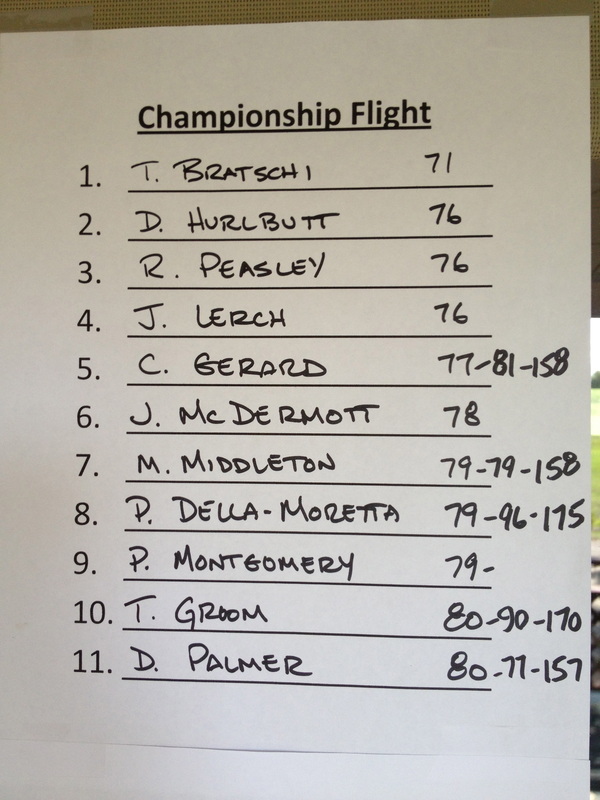 Flights will be divided equally by total number of players in the field. Includes: Green fees, range balls, championship awards, awards lunch and champagne toast on Sunday. Power carts are optional. Players must be 16 years old to enter. Here are some pictures from last years event!